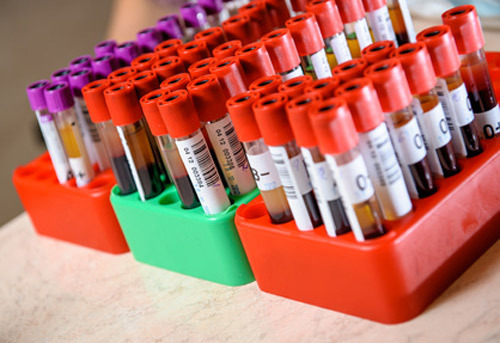 Inivata and Thermo Fisher Scientific are collaborating with Genomics England to assess the quality of blood plasma samples and explore the potential of liquid biopsy to improve disease management and patient outcomes. Thermo Fisher Scientific and Inivata will analyze about 500 plasma samples donated by participants in Genomics England’s 100,000 Genomes Project, in what the partners said was the first phase of a larger three-stage pilot. The pilot is designed to evaluate the suitability of plasma samples for whole genome sequencing; assess the technologies available; and provide a proof of concept study using longitudinal samples. In addition to assessing plasma quality, the study will examine the ability of both companies to discover mutations in the human genome that can lead to or show the presence of cancer. Genomics England, a wholly-owned entity of the U.K. government’s Department of Health, oversees the 100,000 Genomes Project, which aims to sequence 100,000 whole genomes from NHS patients and family members affected by rare genetic diseases, as well as common cancers. “Genomics England aims to translate the UK’s pioneering genomic research into routine care as quickly as possible − cutting the time it takes to turn a groundbreaking discovery into the diagnostics, treatments and medicines that patients need. Our partnership with Inivata and Thermo Fisher Scientific harnesses the expertise of two of the world’s leading genomics companies and will help us to achieve this hugely important goal,” Joanne Hackett, Chief Commercial Officer at Genomics England, said in a statement. Inivata said in a separate statement that the collaboration with Genomics England will apply its InVision™ proprietary platform, which uses a tagged-amplicon sequencing (TAm-Seq™) method that allows amplification and deep sequencing of genomic regions spanning thousands of bases from individual copies of fragmented DNA. The platform is based on original research conducted in the lab of Inivata CSO Nitzan Rosenfeld, Ph.D., at Cancer Research UK (CRUK)’s Cambridge Research Institute, now part of the University of Cambridge, and is licensed from CRUK and the University. “This pilot study will enable us to combine our efforts through the sharing of insights and the assessment of how liquid biopsy technology could ultimately transform cancer care within the NHS, saving lives and money,” Inivata CEO Michael Stocum said in a statement. Results from the first study phase, and two later phases, are expected to help researchers develop less invasive sample collection techniques, more effective monitoring processes and thus better cancer care. Those results will be shared with researchers in the U.K. and worldwide, Genomics England said. Inivata is a British developer of clinical applications for liquid biopsy and circulating tumor DNA (ctDNA) analysis. The collaboration with Thermo Fisher and Genomics England is the second in as many months announced by Inivata that centers on InVision. Last month, the company joined with Addario Lung Cancer Medical Research Institute (ALCMI), a patient-founded not-for-profit global research consortium, to launch a lung cancer study using the company’s platform to determine the potential role for ctDNA in measuring minimal residual disease in patients following surgical resection in non-small cell lung cancer (NSCLC). The study with ALCMI is designed to help identify patients who need further therapy, as well as to explore the value of ctDNA in monitoring for relapse, according to Inivata and the institute.